We all have that one dream when we’re younger, the job/jobs we would love to do. I had a friend who wanted to be a firefighting-ballerina-princess (unfortunately Creighton doesn’t currently offer that track), but mine was much simpler; I just wanted to play in the NBA. Sadly, my dream came crashing to down when I realized there was not a high demand for 6’3 posts with poor ball handling skills and a 20 inch vertical, however, the dream is back. Recently Kenefick Resident Director Lucas Novotny showed up during my desk shift with the most wonderful gift of all: a Nerf basketball hoop. The hoop has recently consumed my desk shift, allowing me to create my own personal trick shots or playing HORSE against anyone willing to take on my sweet stroke. It has also rekindled my dream of playing professional basketball, possibly even in the NBA (Nerf Basketball Association). 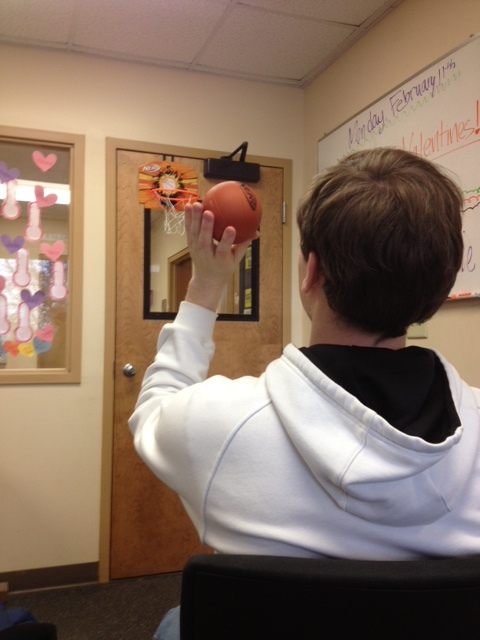 While it may steal my productivity from classwork it will undoubtedly only add to my value as a Nerf basketball player. The dream is still alive, it’s time to get back into the game.